There’s hope for “lost” data when you have a data recovery plan. Data recovery services can often restore even the most damaged media. Exploration companies rely on these services, because old, legacy media that stores geophysical data is prone to fail. Whether stiction or skew errors affects tape media, geophysical data is plagued with potential corruption. This problem is compounded as exploration companies continue to generate and collect more seismic data than ever. Without a proper disaster recovery plan, G&G companies risk losing precious subsurface data, and subsequently, their ability to market, trade or analyze data to make new discoveries. Whether you’ve just begun digitizing well data, or you’re already using a cloud data network, now’s the time to reevaluate your data recovery strategy for your valuable exploration data and metadata. We’ll show how you can start improving your data recovery plan today and the benefits of a disaster recovery solution. Data management has no end, particularly because data capture is only growing. But once disaster strikes or seismic data is lost, these benefits turn into setbacks. A data recovery plan is your safeguard against data corruption. The best data recovery companies store data in multiple datacenters, so even if one experiences issues, you won’t experience interruptions. Every company is in a different stage of digital transformation. A data recovery plan should evolve with your company, as you employ data capture. But before you can improve your strategy for secure data recovery, you must evaluate your current plan and available assets. This starts with a data audit. Today’s data has evolved from terabytes to petabytes. This massive increase in geophysical data sizes makes data management more complex. Before you know how much you have to lose, we recommend performing a data audit of data inventory at each seismic and well data location. The net result of a data audit is invaluable for exploration companies. They will know what data they own, gaps in data sets and which assets are most valuable for their purpose. For existing databases, data audits can also evaluate the quality, accuracy and marketability of subsurface data. Organizing all that captured data and metadata in a virtual electronic storage, while the original data stays secure for future access, is crucial. Seismic and well-data domain expertise is required to complete the data management process, as is a single user-friendly PPDM (Professional Petroleum Data Management) database. Make sure your database has “smart” data-quality tools and Esri’s GIS mapping software built-in so you can quickly locate and access exploration data on demand. You’ve spent decades gathering, sorting, indexing, digitizing and securely storing your subsurface data and metadata so you’re able to analyze, apply, market and monetize those digital assets on demand. Data can be recovered from legacy media. But what happens in a disaster, or if your datacenter is temporarily unavailable? To remove any interruptions from workplace continuity, exploration companies are turning to global data storage solutions within multi-cloud environments. When your digitized data is in a cloud environment, the dangers of business interruptions are minimized. The industry’s top-rated data capture and data recovery services are just a call or click away. 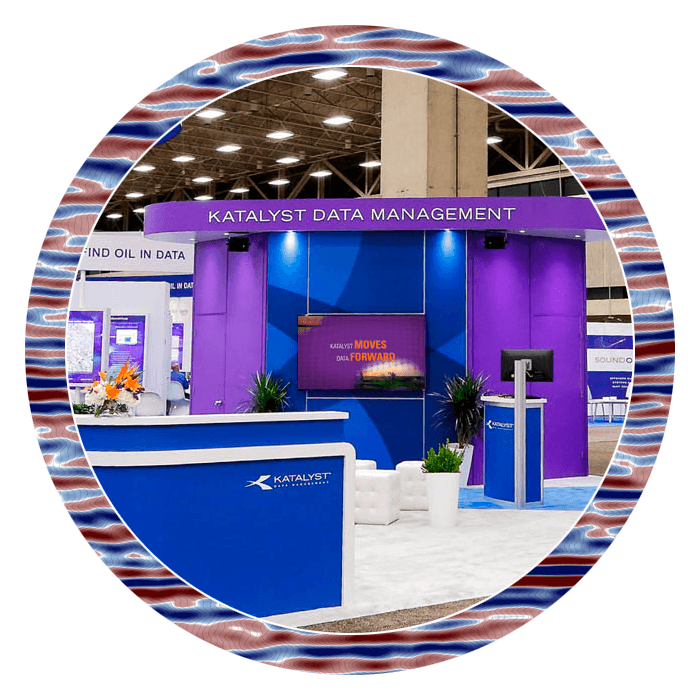 To protect all the proprietary subsurface data your company can’t afford to lose, give Katalyst Data Management a call. We provide end-to-end data capture and data recovery services specifically designed to help companies like yours, anywhere across the globe. We have the equipment and expertise to read, recover and transcribe data from any media used throughout the industry’s history of recording subsurface data. With a data recovery plan in place, you’re ready to transition from digitizing the world to making decisive decisions. Decisions backed by the ability to make more discoveries in less time, with less risk, all with greater confidence.